The online course that takes the kinks & guesswork out of building your profitable home staging business. Hey there, I am Cindy Lin. I am a home staging educator, the host of The Home Staging Show podcast and a photographer working internationally. I started my home staging business when I was 25 in my parents’ garage. Ten years later, we were a 6-figure home staging business with consistent clients, with no employees and did no marketing except having a website. Let me show you how I did it, so you can get to your dream business quicker with no need to reinvent the wheel. And do it all in style with less sweat, blood, and tears. Many home staging courses are rarely updated since they were written more than ten years ago. Or they were created by people who never had a home staging business. Focus on the basic, soft business stuff that barely scratches the surface. Only show you limited, cookie-cutter business models. Don't teach you the importance of profit margins, so you chase revenue goals blindly like a hamster on the wheel. You feel exhausted and still barely made any money. Give you superficial strategies that don't prepare you enough for real-life problems. Teach you outdated marketing techniques that don’t serve your business well. Use the same cookie-cutter website templates for all of their students, so your potential clients cannot differentiate you from another graduate because both of your businesses look very similar. Worse, many of these template websites from training schools are poorly SEOed. Many are not mobile-friendly, which Google no longer indexes. Worst of all, you just spent $THOUSANDS and still don't know how to get clients consistently. You have zero strategies and zero ideas. What do I do when clients cancel on me last minute? I already spent all this money on new inventory for the job. What do I say when clients say I am too expensive? One of my movers accidentally broke the door frame when moving the couch in, what should I do? How do I charge clients? Do I need insurance? Why? How do I get inventory when I have no money? What should be in my home staging contract? WHAT IS 6-FIGURE FLOOR PLAN? 6-Figure Floor Plan is an online training program that teaches practical and tested business strategies to newly established home stagers who want to build a thriving and profitable home staging business. Whether you’re brand new to the business or have a few years under your belt, 6-Figure Floor Plan will push and challenge you to go to the next level. Think of this course as a giant Q&A session. This course is designed to build and refine your business systems and strategies that take the kinks and guesswork out of creating a profitable, book solid home staging business. You cringe at the idea of “selling yourself.” You don’t want to be intrusive. You’ve been trying for months and have not able to book one single client. You’re afraid you’ll have to deal with a huge inventory and other hassles (you won’t). Most of what you’ve heard about home staging businesses is a load of packing peanuts. YES, YOU’VE BEEN LIED TO. "To be a successful home stager..."
There is a much better way. I promise. No re-invent the wheel needed. All of our courses come with 100% money back guarantee and lifetime access. There is no annual renewal fee, even if we raised the price on the tuition or added more content and materials. The self-study course contains almost 15 hours of course content, seven modules of audio & video lessons, 37+ lessons, plus 166 pages of worksheets, templates, and scripts that you can access anywhere, anytime with internet connections. There is no need to reinvent the wheel if I've already done it for my business. I'm giving you my scripts and workflows so you can hit the ground running. What will it feel like to have a home staging business that fulfills your creative side AND make money? “One of the most valuable parts of learning from Cindy is that she openly shares all of the resources that she used to successfully run her business – that are often inexpensive or free! It is incredible! " You have no idea who your ideal clients are and where to find them, so you take anyone who breathes. You feel like finding the ideal client is a myth, like a rainbow unicorn. You go on hundreds of estimates that go nowhere. You are not sure exactly what to charge clients, and you are scared that you will price yourself out of the business. You have things missing in the contract that open yourself up for liabilities and loss of income. It’s a struggle getting a big fat YES! from potential clients. You don’t have a marketing system. You completely forget about marketing once you got busy, then the phone stopped ringing again. You don’t know how to say no to clients, so you say yes to giving them a discount. You know exactly what kind of clients you want and where to find them. You can create marketing campaigns tailored to your ideal customers’ needs. You create a client experience that keeps clients coming back, so you don’t have to work as hard to get new clients. You understand how to make money work in your business and what profitability means. You have a solid contract that acts like a bodyguard, like The Mountain in Game of Thrones. You feel more confident answering client questions and objections so that you hear more YES! You have set up the framework for your marketing & operation systems, where you can rinse and repeat with ease. You know exactly what to say to clients when they say the darndest things. You are now super clear about your business model and goals. You also know how to handle inventory if you choose to have it. 🖥 Total video play time: 56 minutes. 🖥 Total video play time: One hour 52 minutes. 🖥 Total video play time: One hour 41 minutes. 🖥 Total video play time: Two hours 16 minutes. You've booked the job! NOW WHAT? 🖥 Total video play time: Two hours 57 minutes. 🖥 Total video play time: One hour 54 minutes. 🖥 Total video play time: 10 minutes. “I am overwhelmed in the BEST way possible with the amount of tangible content that Cindy teaches in her course. Her teaching style is so effective and she opens up a world of knowledge that is helping me outline my home staging business. — Andrea Kaba Neff, Owner of Farm House Staging Co.
You can enroll in our Self-Study program at any time and get started right away. For those who want immediate course access and hit the ground running today without any mentorship or support. ✔︎ Lifetime access to the lifetime of the course. ✔︎ There is no course renewal fee, annual fee, blah blah fee. We hate fees! You will have lifetime access to the course, even when we raise the price, add more content, interviews & goodies. Enroll in the self-study program Today & get started! The beauty of a digital course is that you can access the course content anywhere in the world, as long as you have internet access. You can be sitting at the beach in Bali, having afternoon tea in London, sitting in a cafe in Paris having a chocolate croissant. No to mention a digital course is eco-friendly, no CDs, no bulky, ugly binders needed! Unlike the traditional home staging training, you don’t need to spend more $$$ to book a hotel room and flights to sit in a windowless hotel room for three days for your training. You can watch the videos, listen to MP3, do the worksheets in the comfort of your own home, on your own time, in a messy hair bun and snuggies. It depends on you! You are in control. We recommend setting 3-5 hours a week to go through the lessons and work on your materials. Depending on how fast you read, go through the video content and how fast you are at completing the worksheets, it can take more or less time. However, implementation may take a bit longer due to the nature of the materials covered. There is absolutely no rush! There is also no right and wrong amount of time to complete your course work. Running a successful business is a long game and a continuous practice. It takes patiences, trials and errors and persistence to get to your goals. Overnight success is extremely rare. But that’s why you have lifetime access to the course (and for its future updates!). You can rework the materials as your business evolves. Someone who has been staging as a side hustle, wants to leave her 9-5 job and starts her home own staging business. Someone who already has a business in a related field, wants to add staging on as part of the business and needs to learn the in’s and out’s of a home staging business. Someone who doesn’t want to make the mistakes most stagers make. Someone who has been in a business a little while with a few jobs under the belt, but feeling the business is not quite gelling yet. Someone who wants to create a vibrant, thriving home staging business. Someone who has the design goods, but needs guidance and support on the business side. You want a get-rich-quick scheme. There are a lot of moving pieces in running a home staging company. You will need to establish a solid foundation before you can grow the business. To be a successful home stager, you have to do the work consistently and put your systems in place. You only care about taking a course that will give you an "accreditation" or "certification," so you can put a fancy sounding credential on your business card. Then this is definitely, absolutely, positively not the course for you! b) certifications are mostly schemes for training schools and associations to make more money. There are no accreditations given by the government that validate these so-called certifications. The organizations are privately-owned and they “certify” their own students. It’s like your 12-year-old cousin knighting you with a plastic Jedi sword. It’s purely marketing and a placebo. I have no interest in putting $10k into getting “accredited” by associations either. It is much more tangible for me to invest those hefty accreditation fees on the courses for our students. You want to stay as a hobby stager, and you don’t want to do the work to go legit. We want serious students who see this course as a serious investment in their career. If you are signing up for this course only because you think staging “looks fun on HGTV,” this is not the course for you. We want our students to thrive and create profitable home staging businesses that are fulfilling and make a difference in their clients’ lives. You don’t want to invest in your career. You just want to Google everything and read free blogs. You certainly can do that! We have plenty of free resources on our blog and podcast, which you can access for free on our site www.staged4more.com. However, free resources usually only give general and limited solutions that only scratch the surface. In our course, we go in deep and work on the fundamentals of building a successful home staging business. THERE HAS NEVER BEEN A BETTER TIME TO UPLEVEL YOUR BUSINESS. You will have your marketing & operations systems all set up and ready to go. You will know exactly who your ideal clients are and how to market to them. You will know how to price your services, create a client experience that keeps clients coming back. You will be closer to your vision for your vibrant and thriving home staging business. The truth is, you can keep Googling and keep reading free blogs. Or keep waiting for the phone to ring. Or keep hoping that the client will say yes to your proposal. You can finally feel confident about your business and feel like you know what you are doing. You can finally talk to your clients with ease and making it easy for them to say yes. You can finally quit your 9-to-5 and start your home staging business. If you wait, you will always stay in the same situation you are in now. Six months from now, you will wish you had started today! "But I want a certification. Why don't you offer one?" I believe in the power of education, but I don’t believe in certifications or accreditations made up for marketing purposes — especially accreditations or certifications created by the very same people who are selling or affiliate with the courses. It’s just a way for the organization to make more money. That’s also why our courses don’t offer a certification, because it doesn’t mean anything when we make up the “certification” ourselves. We also don’t have renewal fees, because it doesn’t make sense. You also have lifetime access to the course even if we raised the price and upgraded the content. Because I genuinely want to create courses that make a difference. As a veteran in the real estate and home staging industry, I can tell you that clients don’t care about the alphabet soup behind your name. I had worked on $500+ million worth of real estate, and not once the clients had asked about my certifications. They, however, asked about my portfolio, my website and if I had liability insurance and worker’s comp. Sure, I will sell a lot more courses when I get ours “certified” or “accredited” by these private organizations. But honestly, I much rather invest the $10,000 and the time and energy of doing endless paperwork back into creating better courses for you. The results of my students are far more important to me than a vanity metric. What I can offer you instead of certification is an optional Validation Session at the end of your course. After you sign up for the session, I will ask you to send me all of your completed coursework. I will take a few days to review and send your work back with detailed notes and feedback. After that, we will then meet online for an hour-long private coaching session to smooth out any questions or concerns you have for your business. "Can't I just Google all this stuff? Why do I need to take a class on this?" Yes, of course, you can! And if you are happy with Googling, by all means, do that! But... if you're checking my course out, because... perhaps you are not happy and satisfied by what you've found on the internet? You feel like it's not enough? By taking a course like this, you are investing in yourself and your business by tapping into my experience and expertise, so you can get to where you want quicker and with more profits. You will also join fellow stagers and get support from one another. Think of it as your very own Justice League. Also, it's just like homeowners who want to stage their homes themselves: the results may not be as great as hiring a pro like yourself. Or, they achieved the same results as hiring a professional stager, but they invested a lot more time, effort and learning curve to get there. So take my class or Google? It's all up to you. And you don’t have to. Plenty of home stagers only do occupied homes and consultations. It’s your business; you decide your business model. There are many hybrid business models today. Some combine home staging work with photography, some do staging and interior styling, and some are specializing in Airbnb and flips. You can leverage your skills and choose how you want to run your business. In this course, I push the students to focus on their strengths and what they are passionate about, instead of following cookie-cutter formulas set by traditional home staging training schools. I started as only wanting to do consultations as a way to get my foot into the door to get listings as a real estate agent. Then I fell in love with doing a specific type of vacant homes, and I specialized in staging those homes. We understand it’s important to save every penny when you are starting out. If you have made a wrong investment toward your business, you would not feel great about the decision. We understand that, and we too will feel awful if we had created a course that doesn’t work for you. After you are enrolled in the Self-Study program, write to us within 30 days of your purchase with your full, completed coursework and a detailed explanation of what didn’t work for you. We are asking for your completed coursework because we know that if you take action and go through every worksheet and exercise, you will make gain clarity and make progress toward your goals. We only want serious students who want to make a positive change in their lives and their businesses. If you are just buying the course to check it out, you will not receive a refund. Even if you just bought it for five minutes. So please consider your purchase carefully. By seeing your coursework, we can help you troubleshoot and figure out where you may have felt stuck. We are also asking for your detailed explanation so that we can continue to improve the course. STEP 1. FILL OUT YOUR INFO & CHECK OUT. STEP 2. CHECK YOUR INBOX FOR COURSE LOGIN INFO. Fill out your information, click the green button to complete order and check out. Within 15 minutes, a Course Welcome Email should arrive in your inbox! It will outline the course release dates, login information, and some answers to FAQs. Click on the course that you’ve enrolled in, and Module 0 will be waiting for you to get started right away! Settle down, dive in, and start laying down the foundation of your home staging business! + "What's this 100% Risk-Free Guarantee?" I had put in a ton of work into this course, and I want it to work for you! It is important to me that you are successful in building the business you want, that suits your lifestyle and goals. I want you to feel 100% happy and confident with your investment. If you are not satisfied with your course, you can receive a full refund. Here is how it works: Participate in up to the end of Week Two/ Module Two of the Mastermind program. If you don't feel that this is the right course for you within these two weeks, get in touch with an email. The request must be received by the end of Week Two, before Week Three goes live. In the email, you will need to submit your completed coursework so far (Module 0, 1, 2) and a detailed explanation of why the course didn't work for you. If you are enrolled in the Self-Study course, we ask you to email us within the 30 days of your purchase with your completed coursework and a detailed explanation of why the course didn't work for you. We will ask for your completed coursework so far to see how you've tried to make the course work for you and how we can be of help. We will also ask you what didn't work for you so we can learn and improve. Once your completed coursework and your feedback are received by the deadline, you will get a full refund. There is a deadline because we want our students to commit to the program. If you don’t plan on starting the program right away, make sure this is the right investment for you as the refund period does have a firm deadline. There is no refund if you just bought the course for an hour, or 5 minutes, or 30 seconds, and changed your mind. We want serious students who want to invest in themselves and their businesses. That's why we are asking for your complete coursework. If you are only buying the course to check it out, we will not issue a refund. Please consider your needs carefully before purchasing the course. + "How does your course compare to so-and-so's course?" Honestly, I have no clue, because the last time I had taken a course from one of the major training schools was back when Britney Spears was still married to Kevin Federline. But what I can tell you is that many training schools are owned by people who never had home staging businesses. They never had to run to five Targets in a day to find the perfect accessories for staging a house the next day. They never had to wake up at 6 am packing and prepping for jobs. They never had to deal with angry neighbors who were unhappy with the owner but chose to take it out on you. Or dealing with nosy neighbors who told you someone just got shot last week across the street sitting in the car. They never knew what it felt like watching movers accidentally took out the door frame with the sofa, or how it felt when you accidentally drop a couch on your left toes, twice. They never had to be there dealing with clients' crap, insecurities, emotional meltdowns and attachments to 32-year-old curtains. Many home staging courses are also very rarely updated, which is problematic. The landscape of the real estate industry is constantly changing, especially with the advancement of technology and the changing habits of today's home buyers and demographics. While business principles remain roughly the same, techniques in marketing are changing and ever evolving. Take websites, for instance. Many of the training schools provide cookie-cutter templates that are dated. As a result, all the graduates' websites all look the same and equally dated. That's a problem when potential clients see this. They cannot differentiate you from another stager. I can confidently tell you that my course is different because I teach how to run a business differently, and I have a unique blend of backgrounds and experiences in various creative industries. You are not getting outdated, superficial business models that are cookie-cutter. I teach you how to find your own definition of success and run the home staging business you want. I am showing you from my real-life experiences, and I am inviting top home stagers to guest mentor and teach master classes: all real-world experiences, all the how-to's, all the hacks, and warning you all the traps to avoid. Most of these training do not update their materials very often. I can tell because some of them still have the same websites when I got into staging over ten years ago. I listen to my students' feedback, and I am always looking for ways to improve our courses. You are not getting that anywhere else. Unlike some programs that make you pay renewal fees every year, the course is yours for the lifetime of the business. Even when we increase the tuition, as a Mastermind alum, you can retake the live Mastermind and participate in the live office hours over and over. + "How do I access the course?" Once you've enrolled in the Mastermind program, you will receive a Course Welcome Email outlining your login information, some FAQs, etc. You will get immediate access to the course platform and can get started on Module 0 immediately. Then, a new Module will be released every Monday, except for the two implementation weeks. After the 8-week Mastermind course is over, in the course platform, you will still have access to all the modules, videos, templates, worksheets and bonus content. You can then work on the course at your own pace. If you are enrolled in the Self-Study program, you will receive access information to the course platform immediately. In the course platform, you will see all the modules, videos and worksheets and you can work on the course at your own pace. + "What is your teaching style like?" I am very direct, and I don't sugar coat stuff. To get a taste of what my style would be like, I recommend checking out a few episodes of The Home Staging Show podcast or read my blog at www.staged4more.com/blog before you purchase the course. + "Who is this course for?" This course is for stagers who just started the business or someone who has been in the business for a couple years but still not seeing any tractions. We also had students who were working a 9-5 job, doing staging on the side at the time of their enrollment. What we cover in the course are hands-on, practical strategies that you can apply in your business immediately. Think of this as a giant Q&A session. In the course, I provide workflows, systems, scripts and templates that are already tested through my 6-figure home staging business. As any design professional knows, a strong floor plan makes the home. A great floor plan creates a great traffic flow, and it creates enjoyment for the home's inhabitants. It's just the same with your business. If you set it up right in the beginning, it is much easier to make tweaks and improvements without having to do major work like gutting the entire place, breaking down the walls and remodel. During the course, we will design a business you want and lay down the foundation for growth. We do so by figuring out what you want in life & business and build our strategies accordingly to attract the right clients. In additions, you will be building systems that you can rinse and repeat over and over and build on. More importantly, I firmly believe the importance of building a business that supports your lifestyle. It's okay if you want to work as a part-time stager so you can still be fulfilled creatively and spend time with your family or whatever other creative outlets you are pursuing. But what we are teaching you here is to be a profitable stager, even if you are working part-time. That's very different than a hobbyist stager who doesn't run it like a real business. + "I live outside of United States, will this course still works for me?" Yes. Our courses focus on business strategies and techniques that are universal. We have had students from the United States, Canada, New Zealand, Australia, Malaysia, and India. 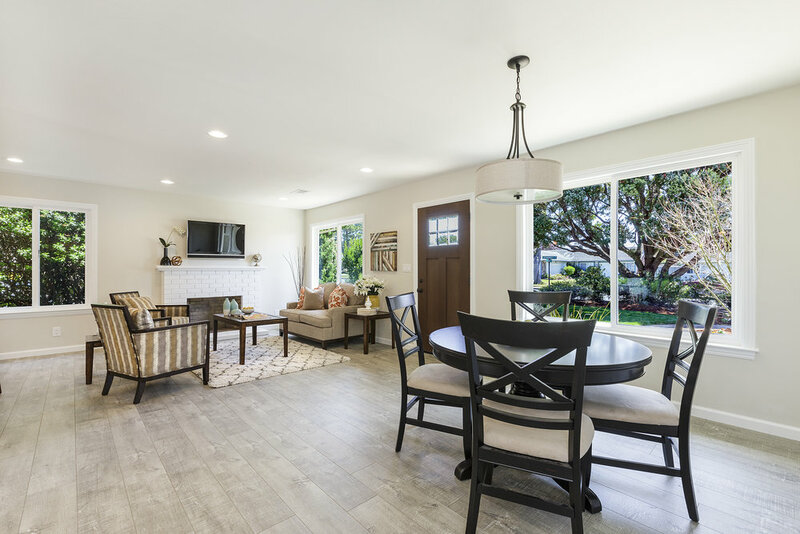 There are times where we may mention things that are area-specific like some contract wordings are specific to California, where we operated in. But the general ideas apply, and you can adapt according to your local customs and regulations. + "How are you different than the other courses? I've already got my certification." In my 13+ years in real estate, I've found that certification is not what it cracks up to be. Specifically, clients don't give two sh*ts about the certification. I had taken A LOT of certification courses in real estate as a real estate agent and as a home stager: GRI, ePRO, ASP, ASPM, IRIS, CSP, Dewey, CSP's Live Green Live Smart, SBA. What I've found is that the clients only care about you doing a great job, show up on time, don't screw them over and get everything done at the lowest price. "Do I really need liability insurance as a home stager?" "I just booked my first job! How do I price X, Y, and Z?!" "Um, what should go into my home staging contract?" My course is different because I've been there. I've struggled. I've hit the growing pains. I've plateaued. I was unhappy, and I felt ashamed that my business was not "successful enough." I started my home staging business when I was 25. I didn't have a lot of money or know anyone in real estate. I leveraged what I have to get what I want, and built my business that way. In this course, you will also see the behind-the-scenes: my contract, workflow, scripts, and systems. You won't need to reinvent the wheel. Take mine and make it yours, and hit the ground running. I'm also an introvert. I don't like sales. I don't like to talk to strangers at networking events. I had to give myself pep talks in the bathrooms before those dreadful BNI meetings. I don't even like sending out newsletters. But! That doesn't mean you can't build a business. Yes, you can. I will teach you how to find marketing strategies that work for your communication style. + "Can you guarantee that I'll make 6-figure after this course?" Staging is a proven technique to improve their listings' chances to sell faster and for more money. We, as professional stagers, can give you all the expertise and knowledge from our experiences. But ultimately, it is up to you, my dear client, to put in the elbow grease and make it happen. It is the same with you and your business. I promise I'll teach you everything I know. The rest of it? It is up to you! + "How much time do I need to work on the course each week?" You should budget about 3-5 hours per week to watch all the videos, read the lessons and work on your worksheets. Some modules may take a little bit longer because you may need to do a bit of research on your homework. Some module may take less time because there are less video contents. + "When does the course start?" If you are enrolled in the self-study course, your course starts immediately after your purchase! If you are enrolled in the Mastermind course, you will get immediate access to Module 0 once you enroll. Module One will go live midnight (PST), Monday, February 11, 2019. + "Do I get lifetime access to the course? And is there renewal fees?" I hate fees, and I think having students pay for a renewal fee every year is silly. So once you've bought the course, it's yours for the lifetime of the course. Unless you had violated our terms and conditions, for example, reselling any part of our course, your access would be immediately revoked. Our attorneys will also be in touch. + "Do I get one-on-one access with you?" If you'd like, yes. I'm always available for you to book a one-on-one with me. You can also sign up for a Validation Session where I will go through your coursework and have a one-hour private coaching call with you about your business. If you are enrolled in the Mastermind program, you will have direct access to me via the course platform, our private community and during office hours. + "Do you cover any design and styling aspect of the business?" There are some design and styling elements mentioned when we talk about inventory purchasing, but nothing meaty enough to make it a real design course. This course primarily focuses on the business side of things, laying down a solid foundation so that you can grow your home staging business healthily. There is a styling course in the works. + "Is the industry saturated? Is this a bad time to enter the industry?" That's a really great question. Sure, new home stagers are getting into the market every day. There are a lot of competitions out there. But the good news is that there are WAY more potential clients than working home stagers. Plus, there is only one of you out there. You bring unique touches and perspectives to your work that only YOU can execute. In the course, we will work on discovering your strengths and leveraging them to stand out in the competitive market today. You will also set up your marketing system to continuously attract and retain clients as you grow. I had been a home stager for 12+ years before I fully transitioned the business to a school of home staging. Before becoming a full-time home stager, I was a buyer's agent working in the San Francisco Bay Area. Today, my primary focus is to provide both free and paid resources and courses on home staging, for both home sellers and stagers who want to build a better business. I write blogs on the business side of home staging regularly on www.staged4more.com and interview top industry experts on my podcast The Home Staging Show. I started my business when I was 25, not knowing anyone working in the real estate industry. Most of my friends were unemployed or delivering pizza. I had zero networks. I started Staged4more in my parents' garage, and I grew the business to a 5,800 square feet commercial warehouse three years after I started working as a home stager. During my career, I had worked on about $500+ million worth of real estate. "Do you really need insurance? Contract? A truck?" "My clients said .... and ...., how do I respond?!" You won’t have to ask any of that after this course. In this jam-packed online course, I will show you how to build a strong foundation for your business and avoid all the potential traps that can slow down your growth significantly. We'll go over systems, contracts, pricing, proposals, inventory, marketing, technology and everything you'll need to start getting clients. I will show you all the tips and tricks I had learned over a productive career in real estate and creative industries. 6-Figure Floor Plan Course | © 2019 STAGED4MORE SCHOOL OF HOME STAGING. Have any questions about this course?